I no longer do extreme couponing at Walgreens. The deals aren’t as good as they used to be – and when there is a nice deal, it’s usually on something that I’m not interested in. Nonetheless, whenever I happen to be there I’m still in the habit of checking out the clearance section. Most Walgreens stores in my area have a pretty decent clearance section, with some items as much as 90% off. 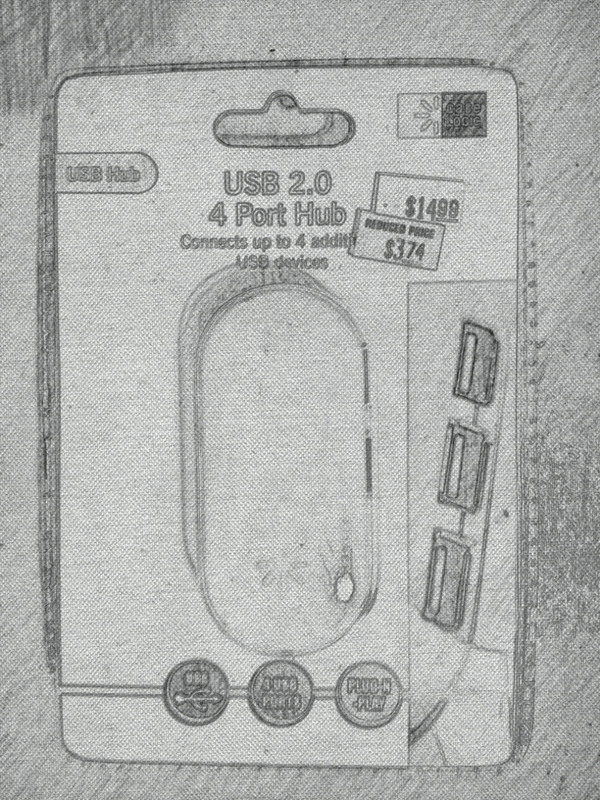 Today I found a Case Logic USB 4-port hub for just $3.74. Of course, that wouldn’t be a great deal if I didn’t need a USB hub, but given that I like to have a lot of different mouses plugged in at the same time, I’ve been meaning to get one of these things for my office. It’s always nice to find exactly what you need at a good price in the clearance aisle.